A fantastic team of four children from Year 1 represented St Thomas' in the Key Steps gymnastics competition on Wednesday 25th April at Herne Bay High School. Ligita, Louis, Leo and Isabella worked hard on a body management and floor routine that included a teddy bear roll, forward roll and box splits. 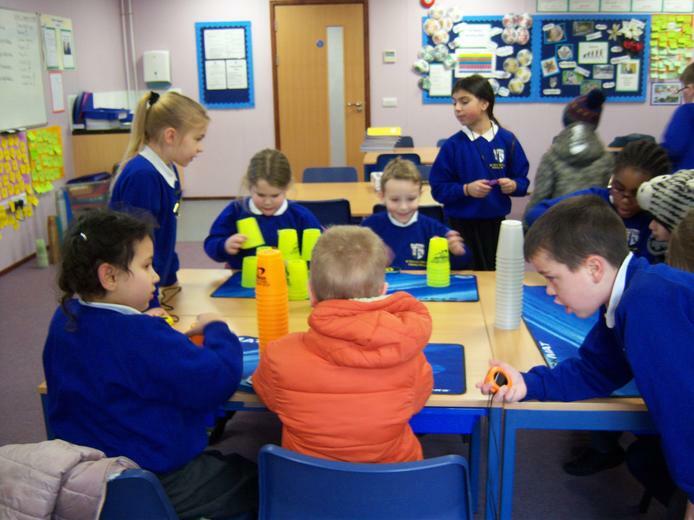 All four children attend St Thomas' gymnastics club after school on Thursdays. They received a certificate of participation and Louis Kennedy received the 'Star Gymnast' award. 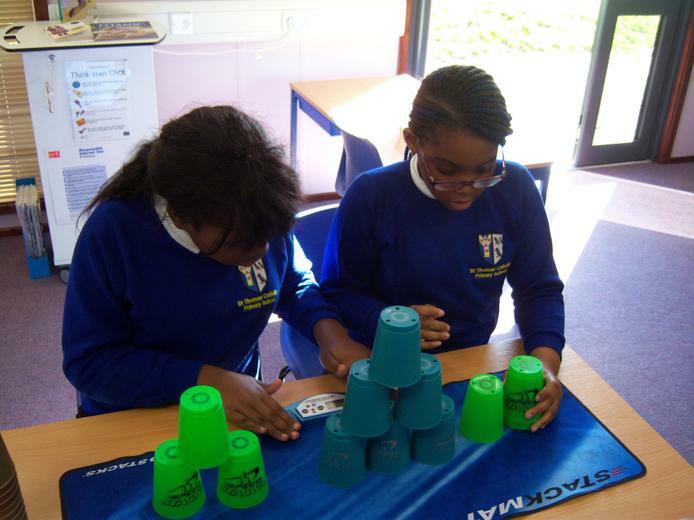 Pupils from Classes 3 and 4 visited St Anselm's School to take part in team building activities organised by GCSE students. It was an extremely active day involving tug-of-war, bench ball, dance routines, and saving the Titanic! Our pupils returned to St Thomas' red-faced, sweaty but most importantly, with big smiles. Thanks to St Anselm's pupils and staff for organising this enjoyable event. 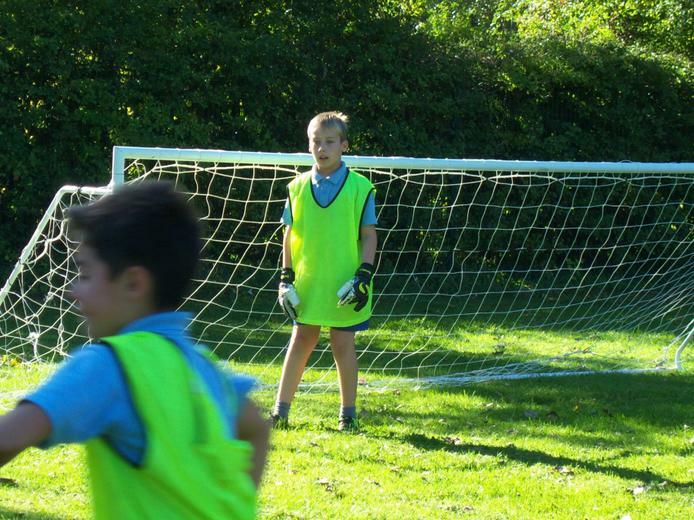 At St Thomas’ we believe in the value and importance of Physical Education for all. The whole staff are committed to continuous improvement of our PE and Sport provision, maintaining our good practice and offering high quality Physical Education in a totally inclusive environment. 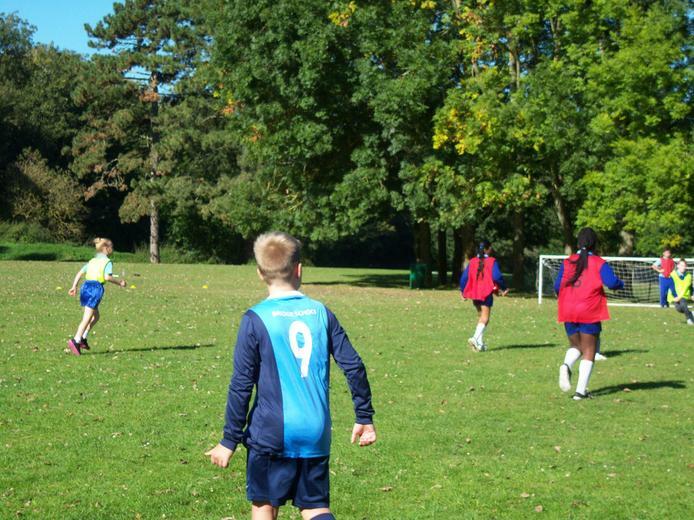 The PE curriculum at St Thomas’ develops children’s knowledge, skills and understanding so that they can perform with increasing competence and confidence in a range of physical activities. 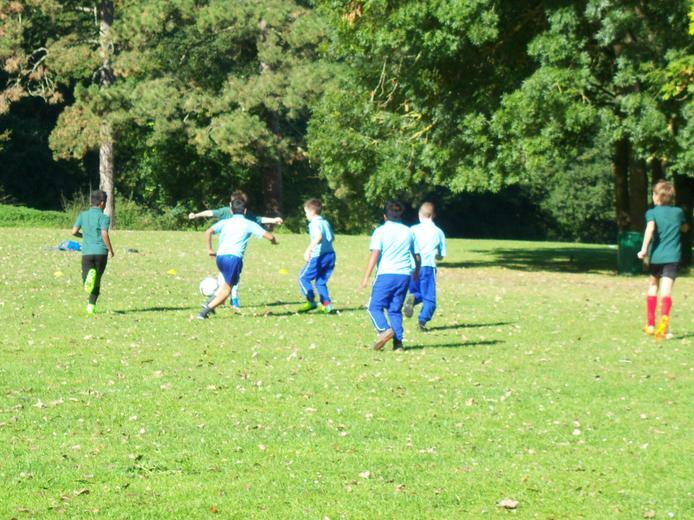 PE promotes an understanding in children of their bodies in action, involving thoughtful selection and applying of skills whilst encouraging positive attitudes towards maintaining a healthy lifestyle. Through our curriculum we enable children to make informed choices about continuing to be physically active throughout their lives. During Term 3, Year 6 have been learning Gymnastics on a Tuesday afternoon. We are very fortunate to be supported by specialist teacher Mrs Steele. Year 6 have made rapid progress in developing sequences of balances with partners. The pictures show what the pupils have achieved through developing core muscle strength. 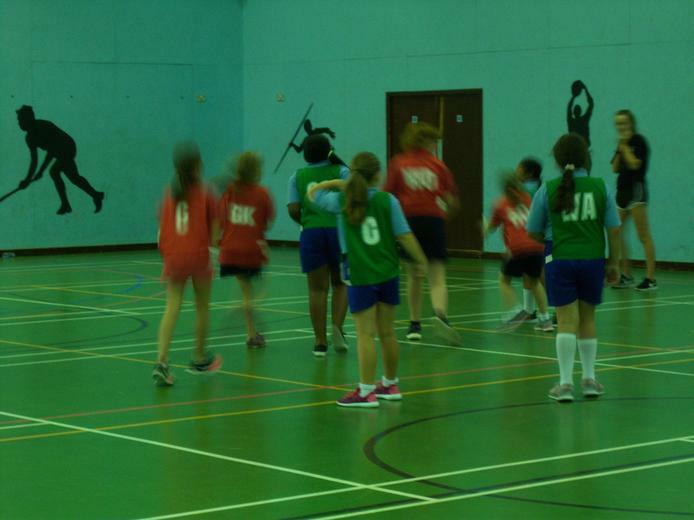 Mrs Steele also runs the after school netball club. Pictures and an update on how that is going will be posted on here shortly. 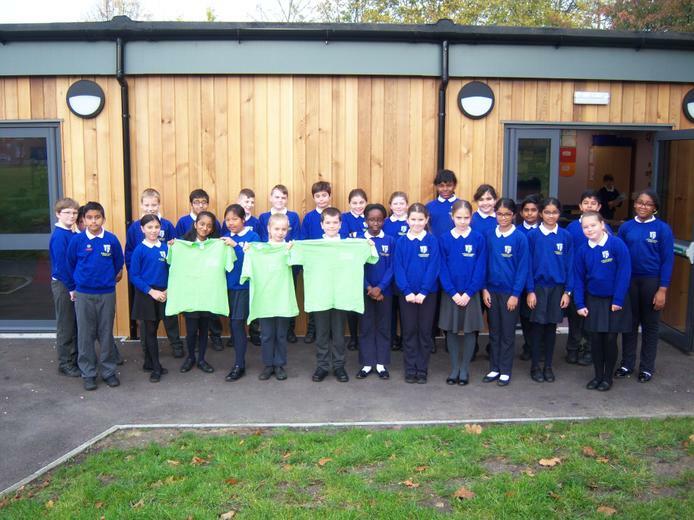 Meet our wonderful Year 6 Playleaders! 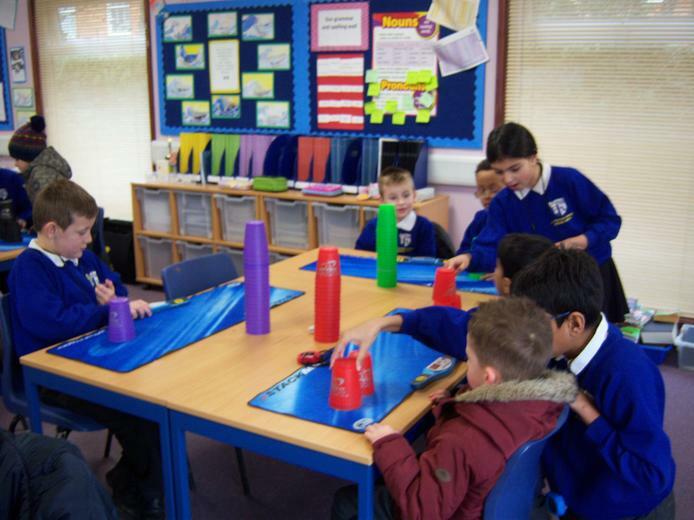 Our Play Leaders working with Year 4 at lunchtime on Friday. 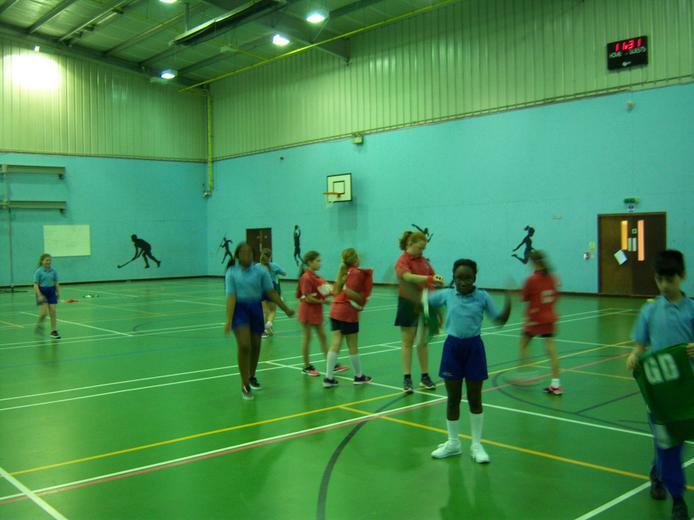 Sports Crew's Indoor Athletics event for Year 2.